Narad Jayanti is observed as the birth anniversary of Devrishi Narad, also known as Narada Muni. Devrishi Narad is one of the Prajapatis and also one of the great seven Rishis. In 2019, the date of Narad Jayanti is May 19. Some of the hymns in Rig Veda are credited to Narada Maharishi. 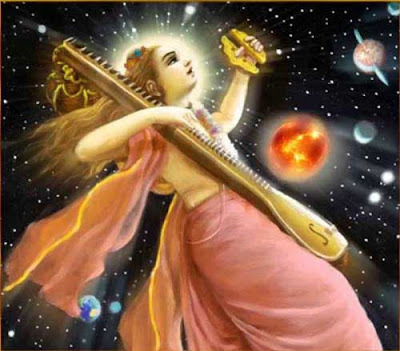 For the majority of Hindus, Sage Narad is the Veena holding Sanyasi who creates trouble often with a positive intention or for the betterment of the universe. Narad Jayanti is observed on the day after Purnima (full moon day) in Vaishakh month (April – May). It is believed that Sage Narad appeared from the forehead of Lord Brahma. Some Puranas like the Vishnu Purana suggest he is the son of Sage Kashyapa. The ever-wandering Sage, Narad plays a crucial role in many important events associated with Hindu religion and a precursor of modern day journalist and mass communicator. He is believed to have invented the Veena and is also the chief of the Gandharvas, heavenly musicians. He roams freely on earth, heaven and the netherworld carrying messages. He has entry to Vaikunta Brahmaloka and Shivaloka. He performed intense austerities and attained the title of Brahmarishi. He is also blessed with immortality. In the fifth chapter of Sabha Parva in the Mahabharata, Sage Narada is described as scholar of Vedas and Upanishads, one worshiped by Devas, storyteller of Puranas, teacher of Ayurveda and Jyotish, master of music, orator, debater, judge, poet, one able to move in all the worlds through yogic powers, person filled with goodness, ocean of bliss, scholar, one helps all and one who prays and hopes for Dharma to flourish in the universe. Narada Bhakti Sutra, Narada Purana, Narada Pancharatra and Naradiya Dharmashastra are some of the holy texts associated with Sage Narada. Satsangs, meetings, seminars and prayers are held on the occasion in North India.